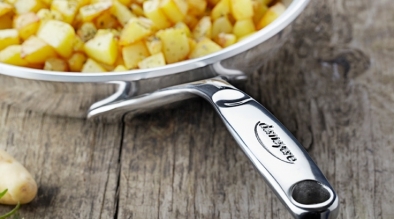 Demeyere offers a wide range of stainless steel frying pans. Depending on what you need from a frying pan, Demeyere a series for you: uncoated, non-stick coated, heavy or light, and in a variety of designs. Thanks to the advanced materials and technologies, all Demeyere frying pans are extremely efficient and suitable for all types of cookers, including induction hobs. Explore the ControlInduc, Proline and Restoline ranges. The Proline pan is the pan of choice for a perfectly fried steak, browned on the outside, carefully cooked and lovely and juicy on the inside. 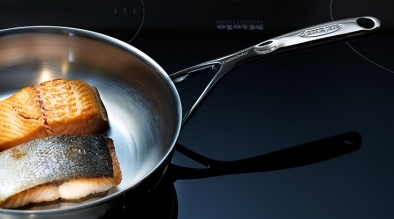 The ControlInduc® frying pan has been specifically designed for induction cookers. The special ControlInduc® technology prevents overheating. 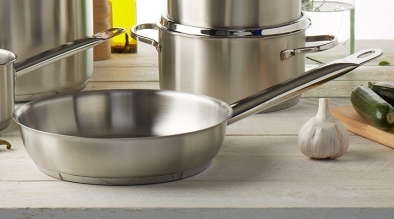 The Restoline frying pans with their matt pan body and polished handles are an eye catcher in any kitchen.